DO YOU ever wonder how our new fire trucks stack up against vintage ones? 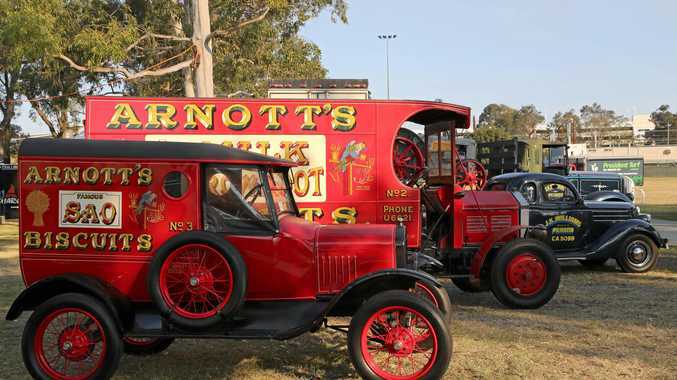 Punters at the Sydney Classic and Antique Truck Show were able to see just that during an exciting re-enactment. Museum of Fire chief executive officer Mark White said it was a treat for those attending the event, given modern and vintage fire trucks were rarely seen together. "You can see modern ones and vintage ones, but not in the same place,” Mr White said. He said the event was highly successful, with about 4000-5000 people coming through the gates to enjoy the vehicles on display. Another highlight was the strong men pulling a 22 tonne truck. The vintage trucks on display came from all around the country. The Museum of Fire, which displays exhibits about fire safety and firefighting, including historic engines, is in Penrith, New South Wales.